We produce sealant releated products with rich experience and we help you choose right sealant products. 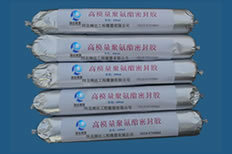 Sealant products with high quality and reasonable price. Sealant is a kind of paste playing a role in waterproofing and sealing of buildings. Sealant becomes rubber elastomer with good recovery after it cures. And it expands after immersed in water to fill the gap, seal and waterproof. It has excellent performance in civil construction as waterproof material. Polyurethane sealant, polysulfide sealant and silicone sealant make up three kinds of advanced sealant in modern society. We manufacture complete sealant related products, such as one-component polyurethane sealant, two-component polyurethane sealant, two-component polysulfide sealant, water-swelling sealant, GB flexible filler, polyethylene closed-cell foam plate, one-component silicone sealant and two-component silicone sealant. Choosing material reasonably and sealing the buildings correctly are the key process of guaranteeing the construction sealing quality. One-component polyurethane sealant is not saggy and has low weight change ratio, so it is suitable for vertical joints. Two-component polyurethane sealant has good softness at low temperature, which makes it easy to use at low temperature. Two-component polysulfide sealant has the best air tightness, which makes it prevent air from entering, so the adhesion effect can be better. Water-swelling sealant will swell if it encounters water, and the swelling volume is 220% larger than the original volume, which makes it waterproof and seal the joints. 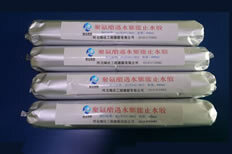 GB flexible filler is resistant to medium, such as water and alkali. So it has strong suitability to environment, which makes it widely used in many projects. Polyethylene closed-cell foam plate has low water absorption rate and good impermeable performance, so it is widely used in water conservancy projects. PVC waterstops with high tensile strength and elasticity are designed for construction, expansion even capping joints to prevent any seepage of liquids. 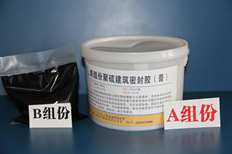 Two-component silicone sealant is resistant to extreme low and high temperature, so it can stand various environment, which makes it accepted by many people. Sealants with different kinds have wide application, especially in some large projects. They can be used in various joints, such as expansion joints and deformation joints. 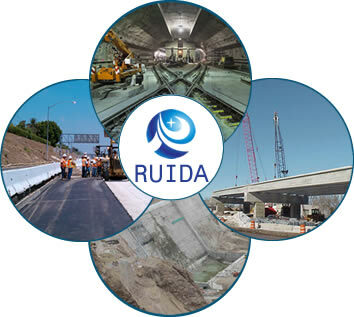 They can be used in buildings, tunnel, expressway, airport, railway station, bridge, hydropower project, basement and subway. Besides, they are used in window and door installation, hollow glass adhesion, glass curtain wall and swimming pool. 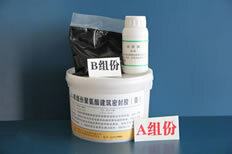 Sealants of different kinds have separate application area. You can choose sealants correctly based on your demand. Take protective measures during using sealant to avoid injury. Clean the surface of joints first to make the bonding effect better. Choose right sealant based on the properties and application areas. Confirm if it is necessary to do base coating. If you use the two-component sealant, use it up within 2 hours. Because it cures with time going by, making the construction hard and resulting in waste. One-component polyurethane sealant is not saggy, so it is suitable for vertical joints. Two-component polyurethane sealant has good softness at low temperature, which is convenient to construction. Two-component polysulfide sealant has the best air tightness, which can prevent air from entering. Water-swelling sealant has very high volume expansion ratio when it encounters water, so it has excellent sealing and waterproofing performance. RSSCopyright © Hebei Ruida Engineering Rubber and Plastics Co., Ltd. Add: High-tech development zone, Hengshui, Hebei, China.